Located on Vietnam’s southeast coast, between the bustling fishing town of Phan Thiet and the resort-packed sands of Mui Ne beach, Victoria Resort enjoys far more space and privacy than most of its competitors. Despite being the first luxury accommodation on this stretch of sand – opening back in 1996, when tourist numbers were few – Victoria Resort remains one of the best high-end places to stay in Mui Ne. Sitting amid sprawling tropical gardens on a long strip of palm-fringed beach, the resort consists of more than 50 spacious brick and thatch bungalows, all with private patio and open-air shower. 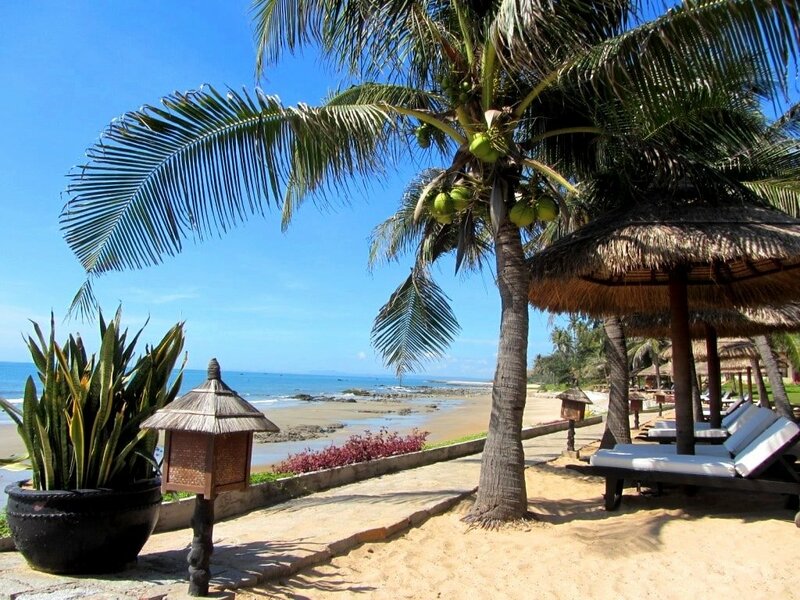 Blending traditional Vietnamese architectural features with French colonial touches and modern amenities, Victoria Phan Thiet is a large resort that still manages to maintain a level of intimacy, thanks to its superb attention to detail. Tastefully furnished, peaceful and family-friendly, the Victoria’s room rates – including breakfast – are extremely competitive. 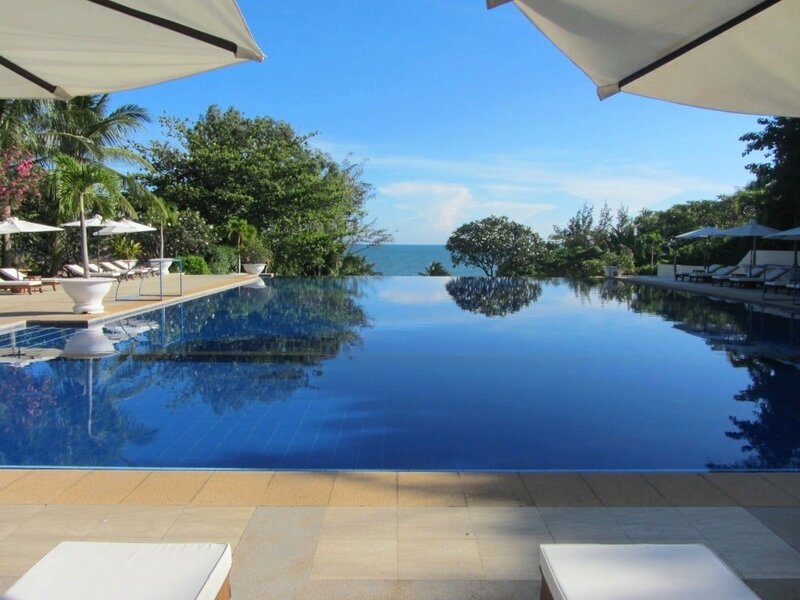 Scroll down for my illustrated, independent review of Victoria Phan Thiet Resort and Spa. These days, competition for beachfront space in Mui Ne is fierce: even the smartest new resorts are squeezed in between neighbouring accommodations. 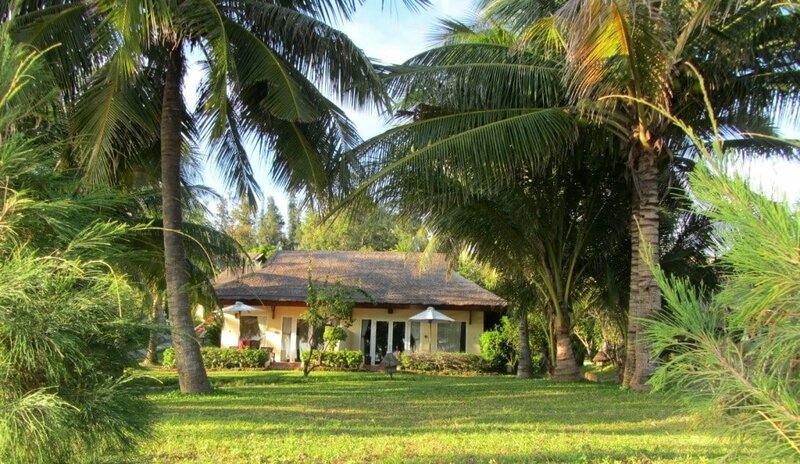 Victoria Resort, however, was built before the mad rush for Mui Ne real estate, and consequently has a large, verdant, impeccably maintained garden and beach. Shaded pathways lead through tropical plants, flowers and fruit trees. 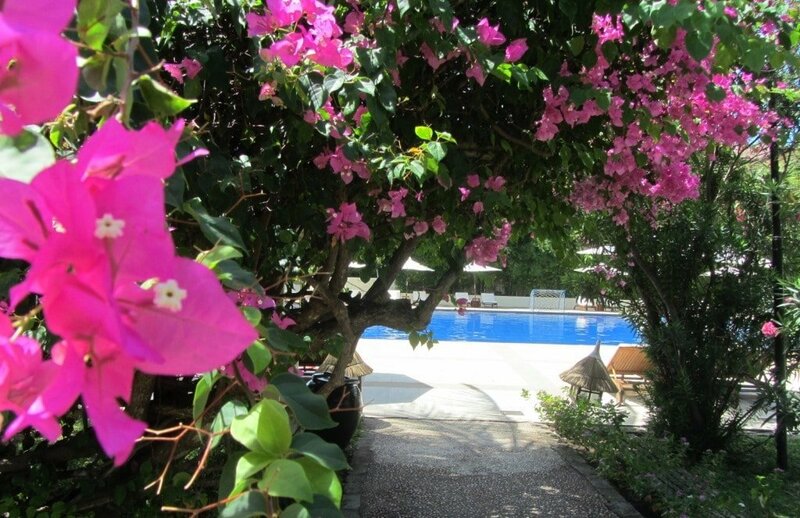 Bougainvillea, oleander, hibiscus, jasmine, eucalyptus, banana plants, coconut and areca palms dot the property, filling the resort with tropical colours and aromas. Hammocks hang between coconut palms, a grassy children’s play area abuts the ocean, and at night the resort and its gardens are lit by lanterns, softened by palm-frond lampshades. Garden and sea-view bungalows are spread out among the foliage. Bright, airy and decorated in pale pastel tones, the rooms receive plenty of natural light. With brick and thatch exteriors, inside there are tiled floors, wooden furniture, woven bamboo ceilings and superb open-air bathrooms. 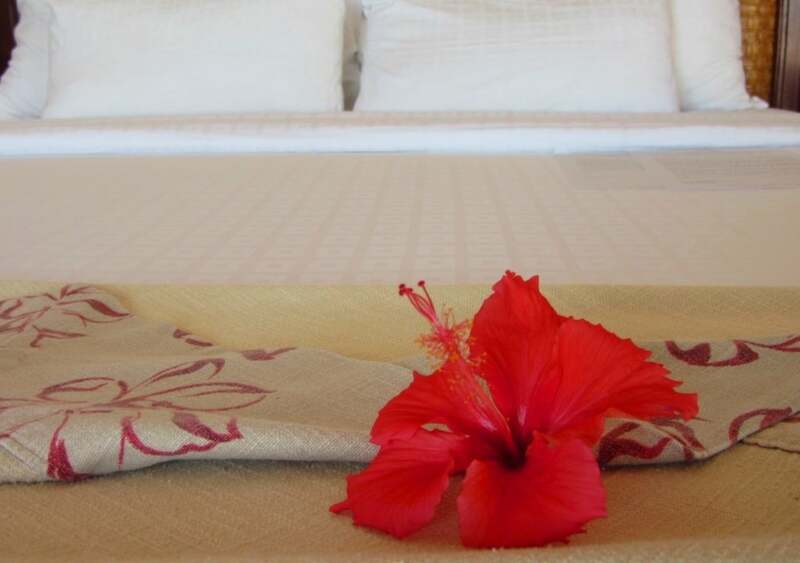 Little touches – candle lanterns around the bathtub, essential oils burning in the room, fresh flowers on the bed sheets – give the rooms real character and add a personal touch that’s missing from many high-end resorts in Mui Ne. Each bungalow has an extremely generous patio, equipped with sun loungers and parasols, and made private by the surrounding greenery. The sea-view room patios open right onto the beach. The long, palm-lined beach is dotted with some large rocks, but there’s always a lifeguard on duty to warn guests if conditions get too rough. A walkway runs along the shoreline, leading to the bamboo spa houses, where all number of relaxation treatments are available. There are two pools; one at either end of the resort’s grounds. The infinity pool is a beautiful sheet of turquoise water, ringed by tropical plants, with the ocean lapping the beach just 10 metres away. The pool bar serves ice cream and cocktails. The main restaurant and bar sits above the resort’s own children’s day care centre. 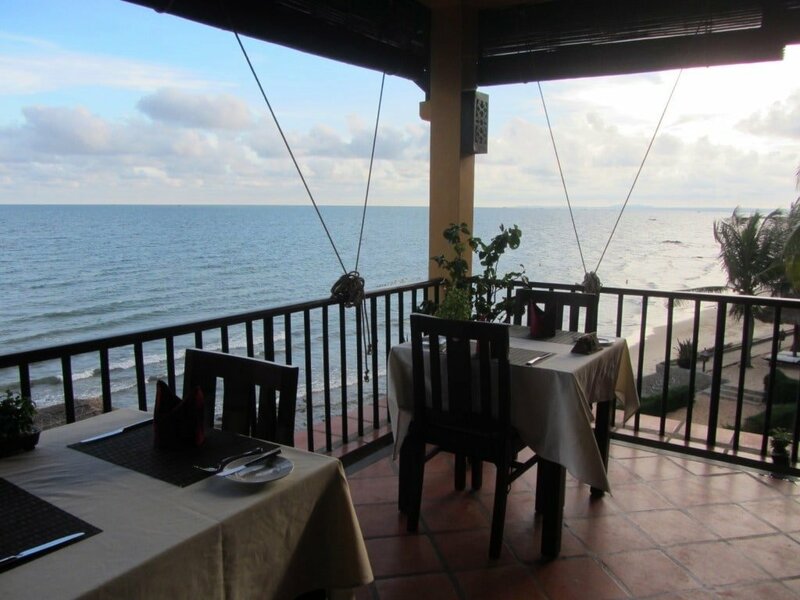 The only two-storey building on the property, there are great views over the beach and gardens from the dining area. Breakfasts (included in the room rates) are excellent. For other meals there’s a large menu of Asian and Western dishes. Staff are generally young, attentive, and from the local area. Some of the older members of staff have been working for Victoria since it first opened. Besides the pools, children’s play area, gym and tennis court, there’s also a squash court, which is very rare in Vietnam. If you can bring yourself to leave the lush surrounds of the resort, excursions to nearby attractions are available. There’s plenty to see, including sand dunes, Cham temple ruins, local markets, and French colonial-era lighthouses. Don’t miss happy hour overlooking the ocean at sunset. 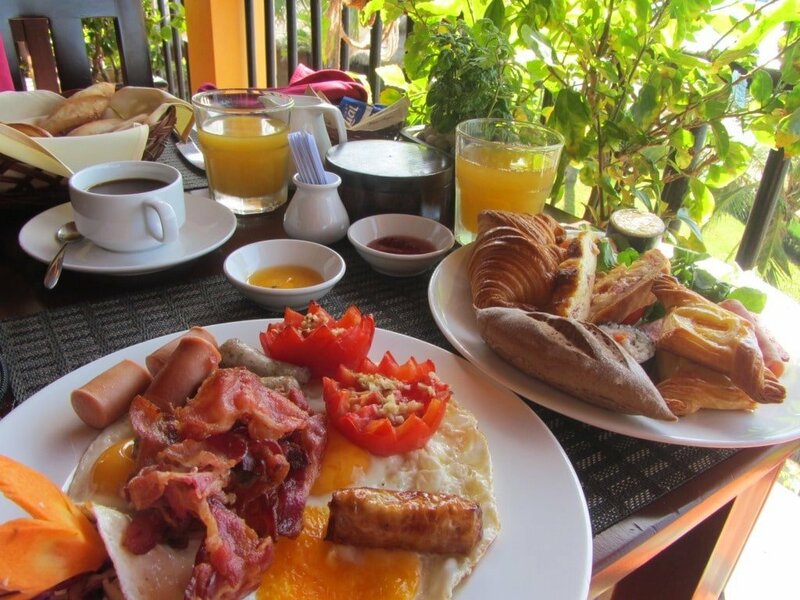 This entry was posted in ALL, Beaches, DESTINATIONS, HOTEL REVIEWS, Mui Ne, Mui Ne, The South and tagged beach, hotels, luxury, Mui Ne, phan thiet, resort, review, victoria, Vietnam. Bookmark the permalink.